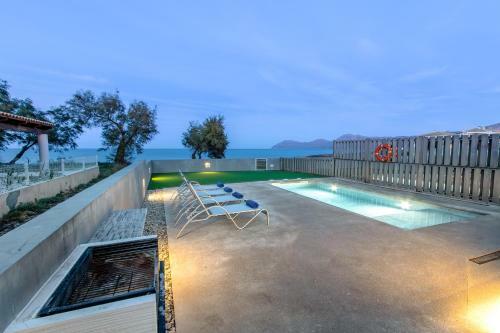 Son Serra Relax 1 by the seaside in Son Serra De Marina is a holiday home with 1 room. 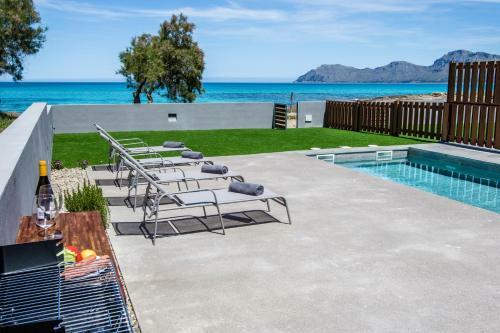 Set 49 km from El Arenal and 16 km from Alcudia, Son Serra Relax 1 offers accommodation in Son Serra de Marina. 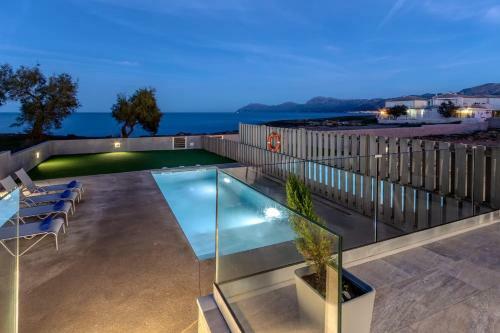 This air-conditioned semi-detached property features a terrace and a private outdoor pool with views of the sea. Free WiFi is provided . There are 2 bedrooms and 1 suite with private bathroom. Other facilities at Son Serra Relax 1 include a seating area, a dining area and a kitchen complete with an oven, a microwave and a toaster. A flat-screen TV is offered. The area is popular for sn...orkelling and windsurfing. Port de Soller is 46 km from Son Serra Relax 1, while Cala Millor is 20 km from the property. Palma de Mallorca Airport is 48 km away. Playa de Palma is 60 km away. Set 49 km from El Arenal and 16 km from Alcudia, Son Serra Relax 1 offers accommodation in Son Serra de Marina. This air-conditioned semi-detached pro...perty features a terrace and a private outdoor pool with views of the sea. Free WiFi is provided . There are 2 bedrooms and 1 suite with private bathroom. Other facilities at Son Serra Relax 1 include a seating area, a dining area and a kitchen complete with an oven, a microwave and a toaster. A flat-screen TV is offered. The area is popular for snorkelling and windsurfing. Port de Soller is 46 km from Son Serra Relax 1, while Cala Millor is 20 km from the property. Palma de Mallorca Airport is 48 km away. Playa de Palma is 60 km away. When would you like to stay at Son Serra Relax 1 by the seaside? Please inform Son Serra Relax 1 by the seaside in advance of your expected arrival time. You can use the Special Requests box when booking, or contact the property directly with the contact details provided in your confirmation.